If you've read a previous post of mine titled Cats, Cats, Cats, then you'd know that over the past year, I've been slowly transitioning from your normal, everyday member of society, into a bonafide crazy cat lady. I didn't choose this lifestyle... but I'm not mad about it. The best way to live the crazy cat lady life, is to embrace it. And that's exactly what this brand did. *disclaimer... do not visit if you are not into puns... more specifically cat puns. Over the Christmas Holiday, I received a duo of Crazy Cat Lady Concoctions lips balms, gifted from my mom, and I was not disappointed. 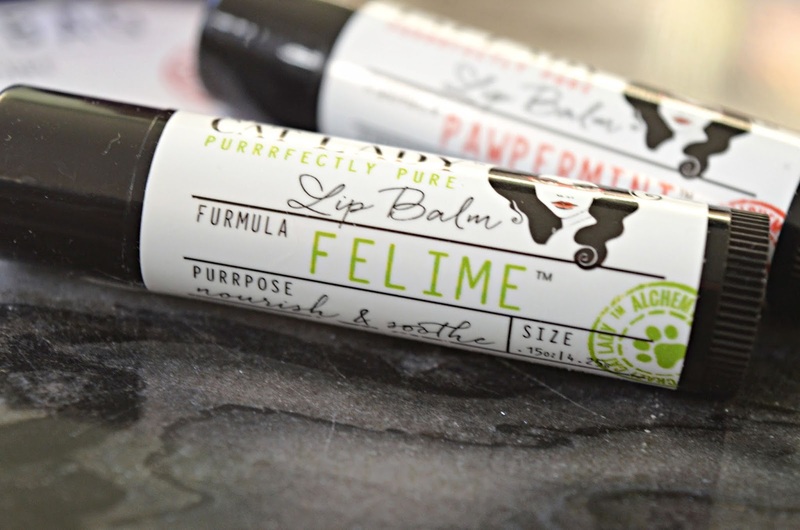 I think any cat person, whether you have one, ten, or just like to look at them, would appreciated cat themed lip balm with names such as "Pawpermint" and "Felime". And the fun doesn't stop at lip balms. 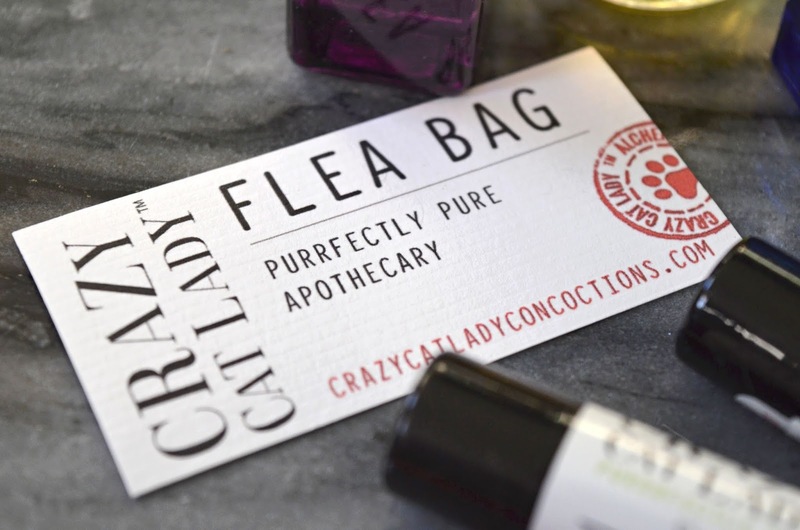 Crazy Cat Lady Concoctions has everything on any crazy cat lady's wish list... from serums to candles, they've got it. They even have "Mewoijuana Kit-Tea"... what else do you need, really? 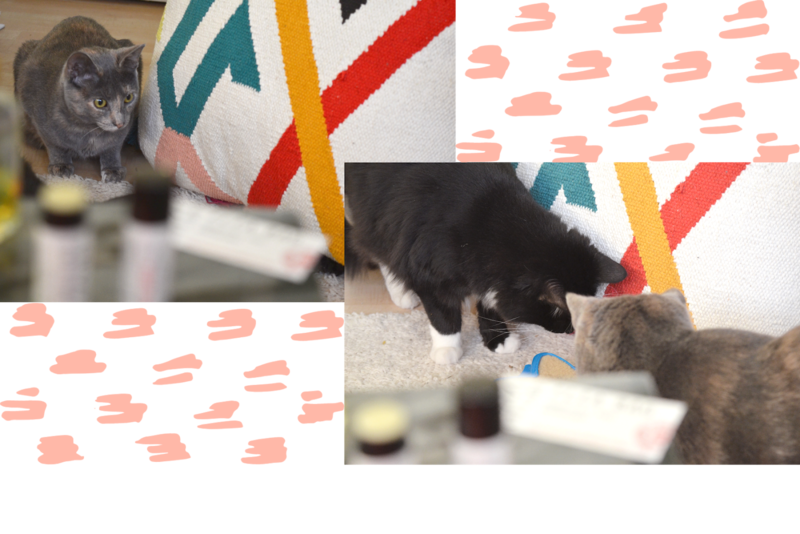 I thought it was appropriate to show the behind the scenes of the flat lay for this post... you're welcome fellow cat people. 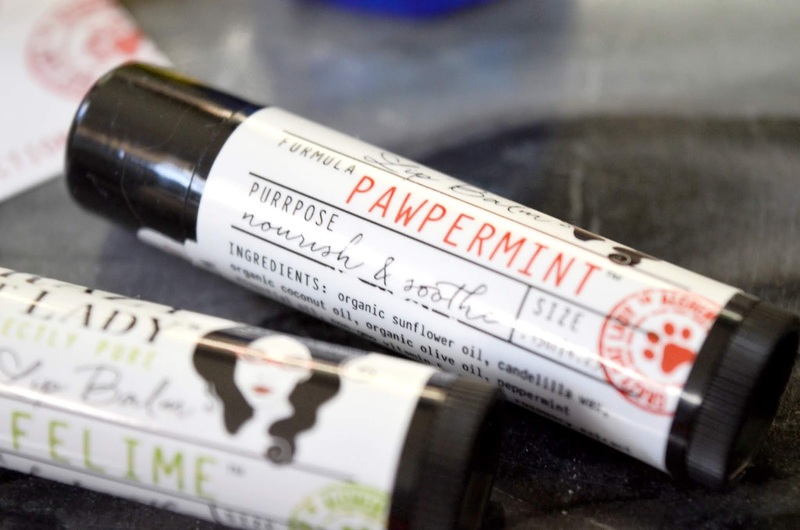 Lip balm or lip salve is a wax-like substance applied topically to the lips. It is applied on lips for the protection of the lips.